One of the new features in SQL Server® 2016 is the Query Store. The Query Store houses valuable information on performance of your queries as well as gives you great insights into your query workload. 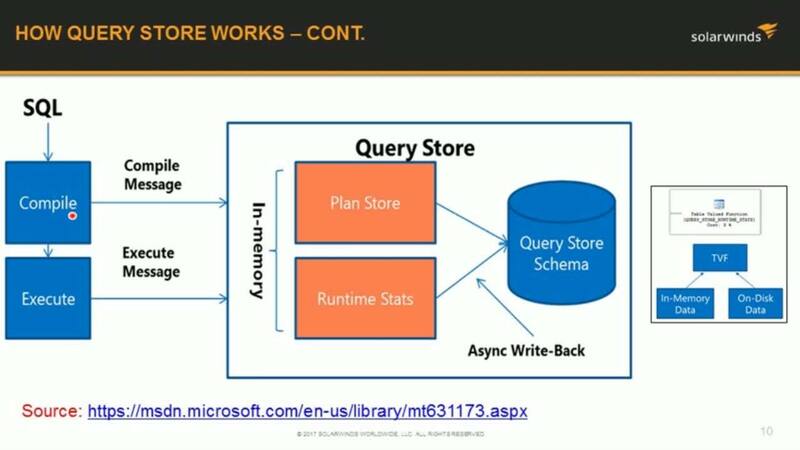 This presentation will take a look at the Query Store, how it works, and the type of information it holds. You will learn how to use the Query Store to quickly find plan changes and analyze performance issues caused by them. New DMVs will be introduced and the performance impact of enabling the Query Store will be discussed. Both DBAs and developers can increase their performance tuning skills by attending this session.